If youdidn&apos;tknow this about me before, I will share with you that Im quite taken with the splendor of our State Capitol Building. Like,I&apos;vekind of got a bit of a crush on it. Its steeped in rich history and what amazes me is the attention to detail that the restoration in the early 1990s has done in returning this building back to its original beauty and majesty. I have volunteered my time and limited gardening skills each year to help plant the annual flower beds that line the walkway to the entrance and do my part to encourage visitors not to miss this fabulous attraction that acts not only as home to our state lawmakers but also as a tribute to our states history. I seriously love every nook and cranny of this building from the lower level where the civil war cannons were once stored all, to the glassed floor rotunda and all the way to the tip of the dome. There&apos;s nothing better than feeling like a kid on a school field trip again and laying on the floor of that rotunda and gazing up at the dome. It&apos;s just magical. 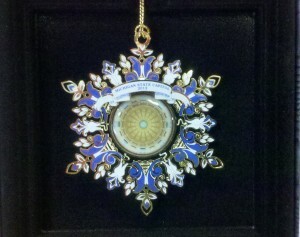 So, on my shopping list this year I have included the 2012 Capitol Holiday Ornament. 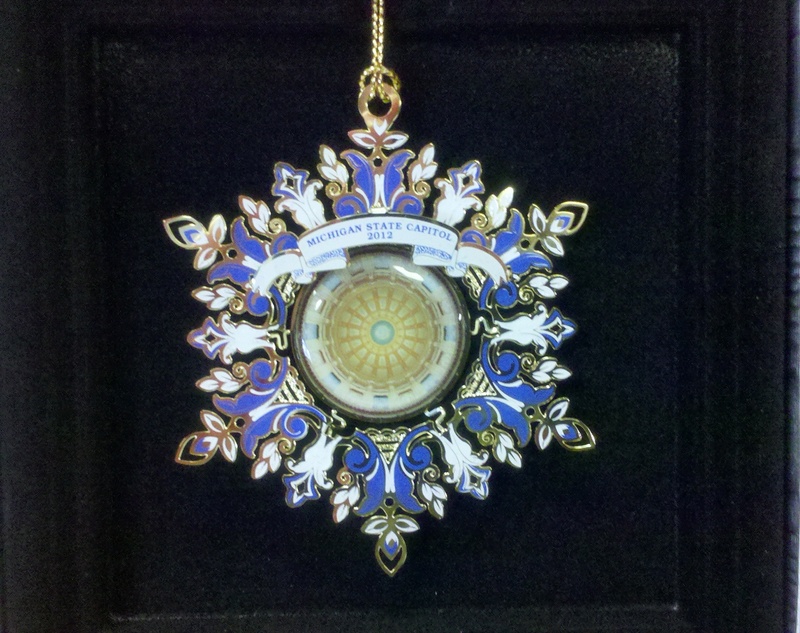 This is the 10th year that the Friends of the Capitol and the Michigan Capitol Committee have offered a special ornament. It caught my eye not only because its gorgeous, but also because it pictures the Capitols inner dome surrounded by gold and blue filigree. Im not sure who I will gift this to. Its one of those presents that you buy, and then want to keep. And maybe I just might do that. You can get your own. Why: All proceeds benefit the preservation of the Capitol. And because its just a super cool ornament to own.